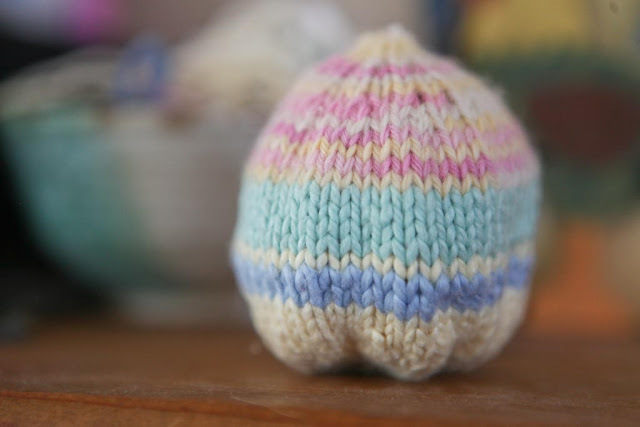 A small egg/ball/hot air balloon-shaped toy, knit from the scraps of my scraps and then stuffed with scraps! 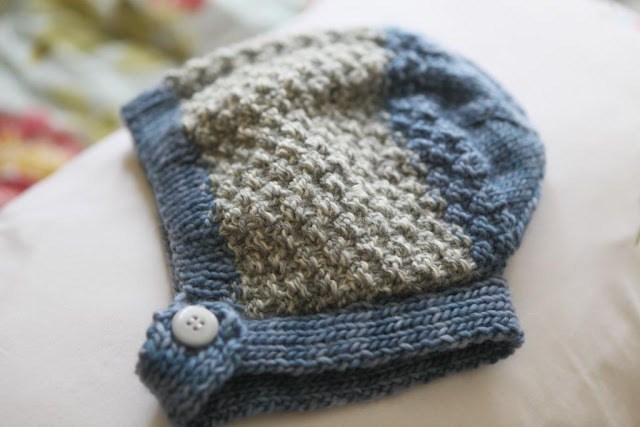 And a sweet little hat and wee mitten set from the book Vintage Knits for Modern Babies. I recieved this book as a baby shower gift, when I was just first learning to knit. I adored the patterns in it, but honestly thought I wouldn't be able to do most of them. It all looked like such a foreign language to me then! 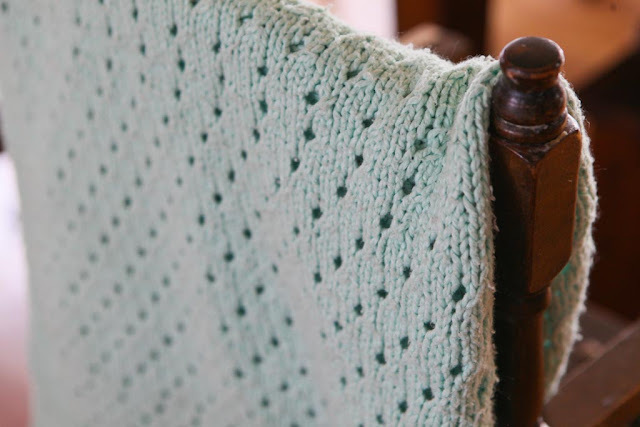 I started with a beginner baby blanket and after that success, I gained more confidence to try some of the other projects. Just a couple years later and lots of practice, I've worked my way through a good third of the patterns. I never thought I would make something that I could actually give as a gift, but here I am, doing just that! (I think you know your knitting is good enough to give away when you secretly want to keep it for yourself). This set will be a Christmas present for my littlest niece. And from that same book, I just completed a cap for my littlest nephew, too. I'm really happy with how it turned out, and have just cast on one for my girl. It is high knitting season around here. Oh yes! They are all so cute! I really like that last little hat with all the textures! Adorable! They are all adorable! I do love the little bonnet at the end. You are so very talented! Love what you've done! I wish I could learn! all your knitting looks wonderful. you are very talented! Be sure to post some photos when the little ones get their caps! This makes me want to get out my needles which have been a bit neglected! I need to try a new pattern...something to challenge me. I am think Tribbles maybe! 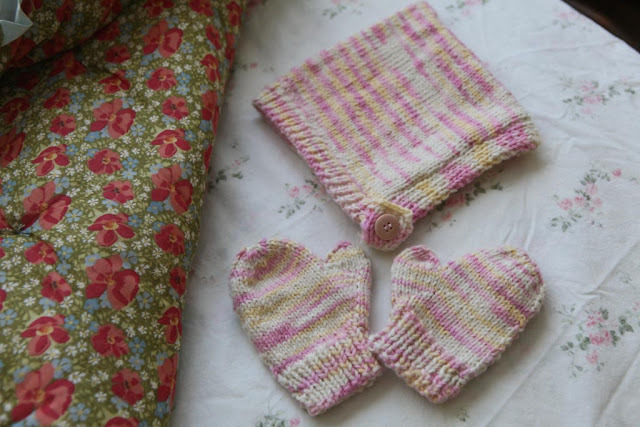 These little hats and mittens are darling. I've been in high knit and crochet mode myself. Hats and slippers. So much fun!